Your customers are intelligent. Empowered by 24/7 access to information, they research more online (and engage less with sales people) than ever before. Buying has changed forever. Marketing has to evolve too. We are a B2B Growth Marketing Agency - a determined bunch of Marketing Nerds powered by awesome technology. We're here to help you improve your branding, messaging, lead generation, customer acquisition, and client retention. Together we can design a better customer experience. What's Hot in B2B Marketing? Right now, we’re using marketing automation to help businesses grow through automated lead generation and nurturing. Even in the most competitive of B2B environments, we’re increasing our clients' inbound enquiries by as much as 50% in as little as 6 months. Delivering qualified red-hot sales leads to you automatically. Grow your online presence, grow your business. Website built for your customers and their needs. Kickstart your marketing with guidance from our experts. Start from scratch or update what you've built already. Create engaging and influential media. Your potential customer is unaware that they have a problem but you intrigue them into taking a self-educating journey - building a relationship with your brand as they learn. When a possible customer researches their problem, they find your content authoritative and helpful. As a probable customer gets closer to making a decision, your content helps them to understand the full impact of the issues they face. As your next customer considers their decision, you introduce your sales team to them. By now your prospect is a warm and well-educated lead. Your customer makes the right decision at the point of sale because you have equipped your sales team with powerful and compelling tools. 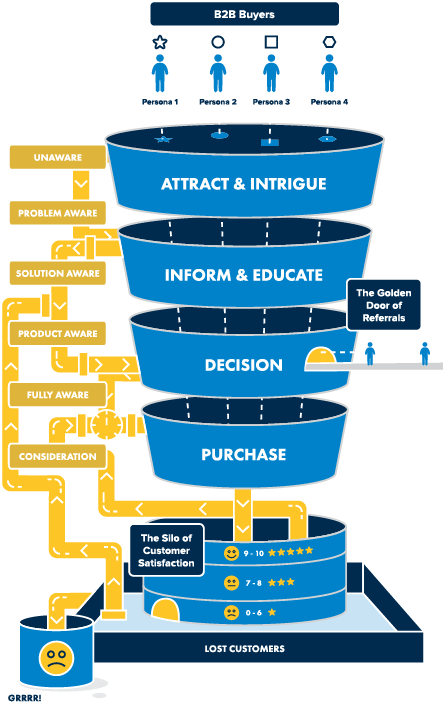 Your new customer is impressed post-purchase because you deliver a first class experience with quality processes, content and systems. Your delighted customer is continually educated, nurtured and cared for. They decide to repeat purchase, upgrade, buy associated products and make referrals. You are building a system for growing your business. It's about strategy, processes, software and content. Marketing is the continuous evolutionary journey every successful business must go on. It is a customer-focused process for achieving sustained growth and profits. 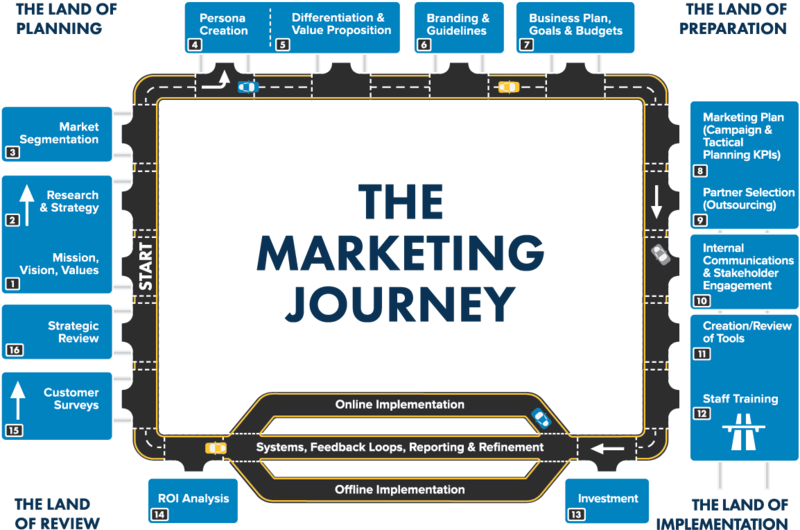 Use the marketing journey as a planning checklist to grow, evolve and build value into your business.